“Vision. Grace. Hope. Connection. Love. Wisdom. Magic. Nautilus Book Awards was ahead of the curve, twenty years ago, when the founders chose to spotlight books that, in addition to excellence in writing, style and presentation, held the intention to be a conscious catalyst for positive change. Over the past two decades, we have been blessed to witness and celebrate an abundance of award-winning books that bring inspiration, imagination, and new possibilities! At this auspicious time of Nautilus’ 20th Anniversary Season, we would like to extend sincere congratulations to all our Nautilus award-winning authors and publishers through the years 1997- 2017. You have planted precious seeds of hope and wisdom to nurture humanity and the planet! Your work embodies many genres of the writer’s craft, embraces a diverse spectrum of the publishing industry, and has invoked visions for a better future from many states of USA and more than a dozen other nations around the world. We deeply honor your commitment, insights and talent to birth books that radiate hope - inspire, connect and uplift us - and co-create paths of healing, peace, and justice. The Nautilus Book Awards will continue to honor authors whose works can help point us in the direction of greater wholeness - from saving the Bonobos to saving ourselves, our communities, and our world in the multitude of ways that are unfolding. 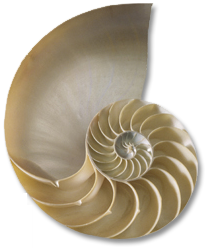 For more specifics about the history of the Nautilus program, see The Nautilus Story. This list of appreciation is not complete without great gratitude to Nautilus Book Awards founder, Marilyn McGuire, for her vision, intention and boundless hard work. She, together with all the committed staff and volunteer team members through the years, have illuminated Better Books for a Better World and brought Nautilus Book Awards to Life. The Names shown below present a sample of Nautilus Award-Winning authors and publishers from our most recent years. For a fuller presentation of award-winning Names and Books, see Winners Archive. Note: Authors are listed alphabetically by Last name. Publishers (in italics), those with “SM” are Small Press (2- 10 books annual, from multiple authors). Inner Traditions /Bear & Co.
Magination Press /American Psychological Assoc.